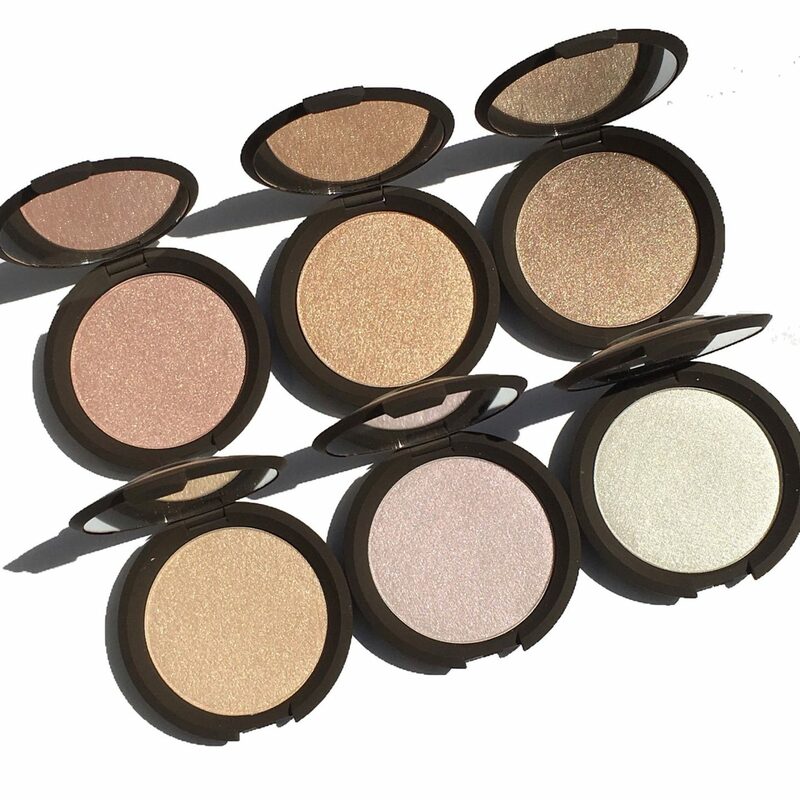 I have loved the Becca Shimmering Skin Perfector Pressed Highlighters for years now! 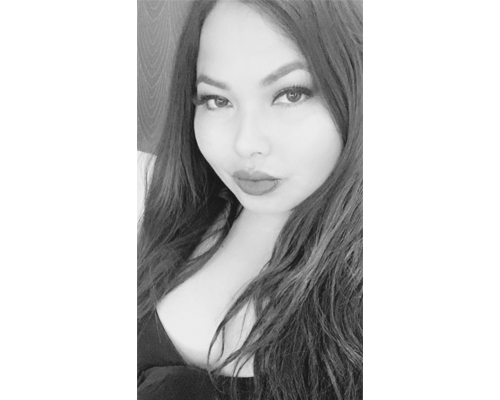 I was first introduced to the brand while working at Sephora many years ago. 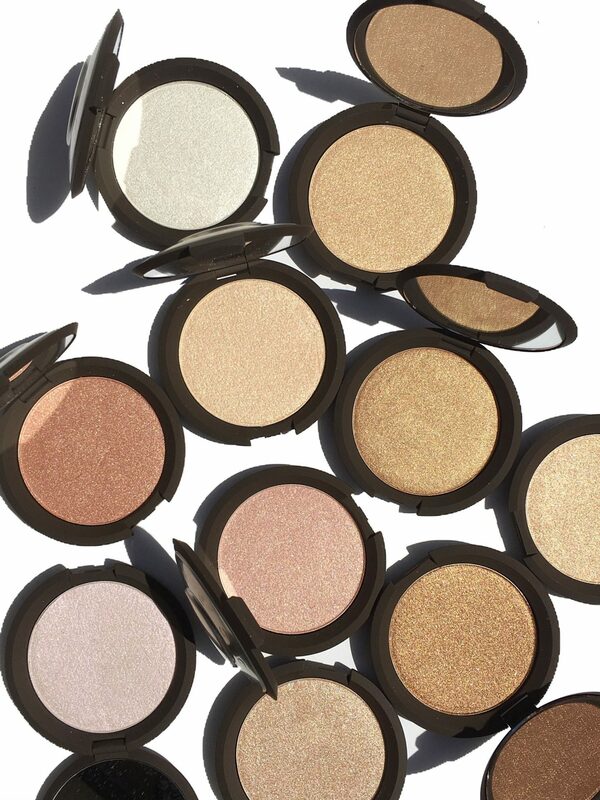 The shade Opal was a huge best seller, and still remains one of my favorite highlighters today. I have reviewed the formula several times here, here, and here. It’s simply one of the best highlighter formulas in the market, in my humble opinion. 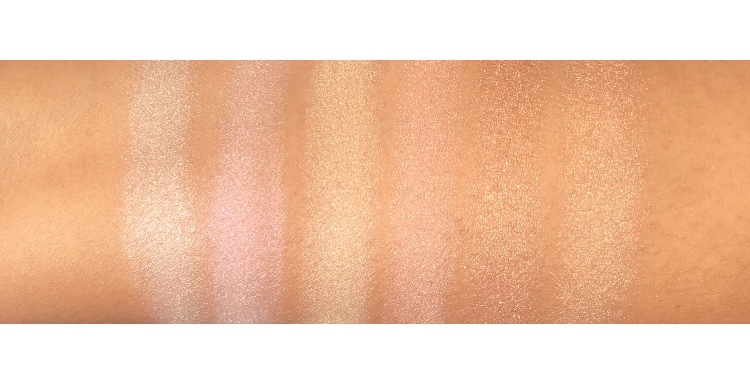 It’s ultra soft, incredibly pigmented, and if you desire an intense highlight that was made to be seen, you are bound to find a shade to fall in love with. With so many different shade range offerings, have you ever wondered what would be your perfect match? 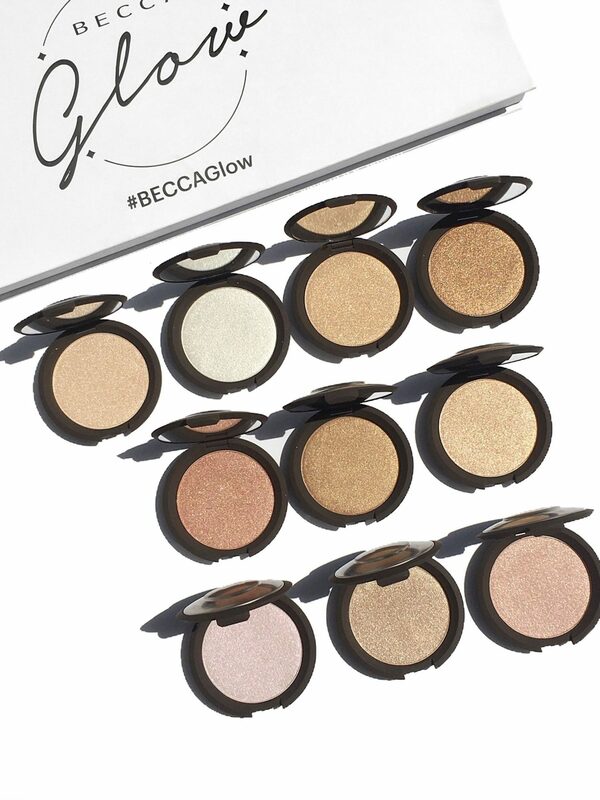 Today I am delighted to share with you all 10 shades of the Becca Shimmering Skin Perfector Pressed Highlighters, now available wherever Becca is sold. In terms of application, the formula is super smooth and soft. 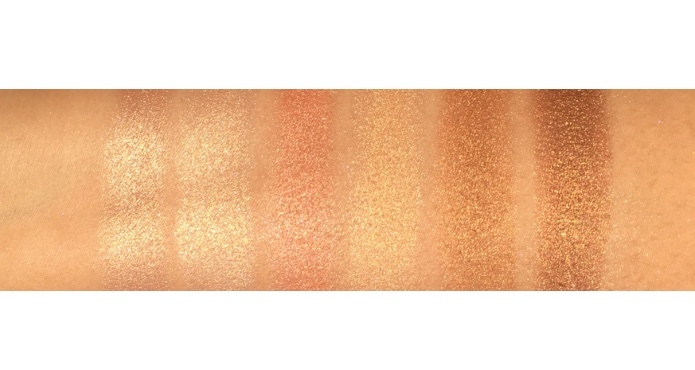 The highlight can be very intense however it’s really easy to layer and blend to your desired look. I prefer to use a fan brush or a small fluffy brush, like the Sephora Pro Highlight brush #98 for application. Because the powders are so soft, they are very delicate, so handle with care. Unfortunately, I’ve once had a mishap by tossing them in my bag in a hurry only to find it shattered later. For your reference, I have split the images and swatches in two categories: Best for Medium to Fair Skin Tones & Best for Deep to Medium Skin Tones. The lasting power is excellent. It stays put all day and provides beautiful luminosity and radiance. 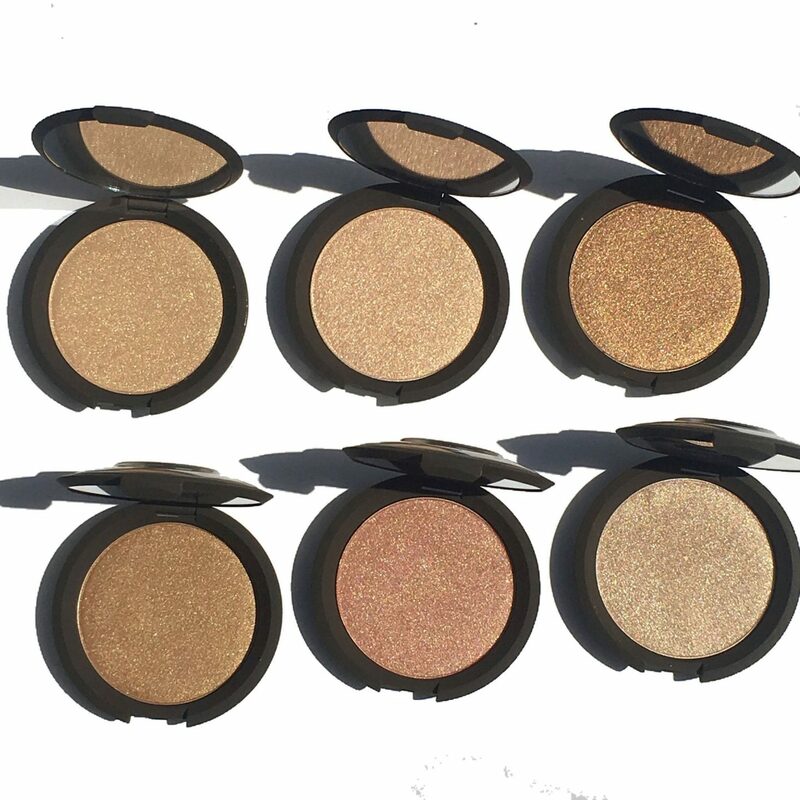 I have received many compliments over the years when using my Becca highlighters. The formula, shade range, texture, quality, and lasting powder is truly A+. 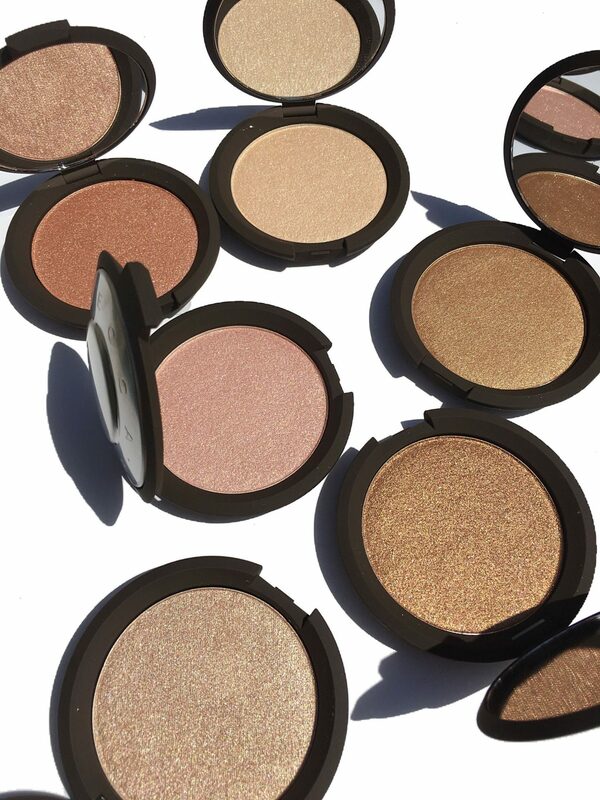 My favorite shades are Opal, Prosecco Pop, and Champagne Pop. There are so many highlighter formulas out there, and I keep going back to this one for good reason. If you haven’t tried the Becca Highlighters, then my question to you is: What are you waiting for? 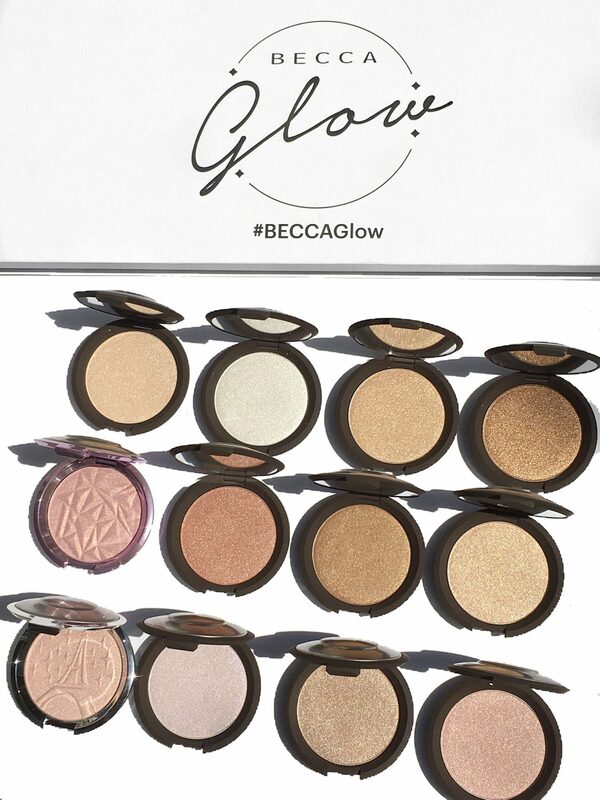 I hope that you found this glow guide useful in helping you to achieve your perfect #BECCAGlow. This post is not sponsored. These products were gifted by BECCA for consideration. All opinions are honest and expressly my own. Some affiliate links may be used. Please read my full disclosure on my home page.